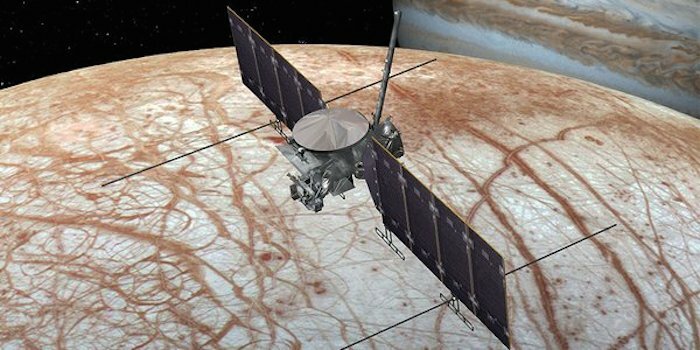 WASHINGTON (Sinclair Broadcast Group) — There could be life on Jupiter's moon Europa. That's what NASA thinks, and why they're planning a mission to explore the possibility. 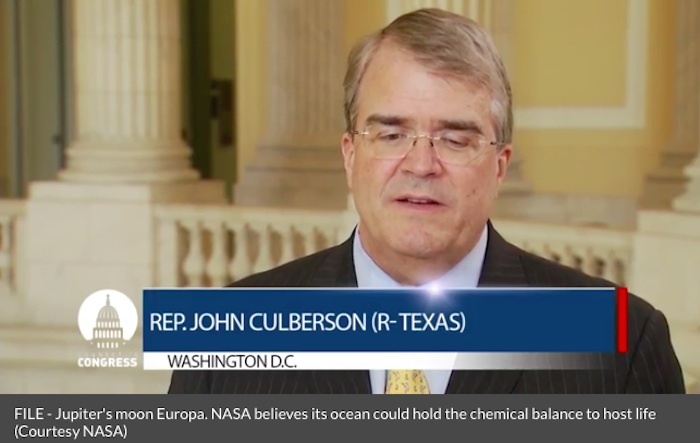 Rep. John Culberson (R- Texas) tells Sinclair that as the chairman of the Subcommittee on Commerce, Justice, and Science, he's excited to see NASA's progress towards confirming the theory that life could exist in our solar system. "I always understood that the discovery of life in another world will be a transformational moment in the history of humanity will be something we'll always look back on and remember," he said. "Those deep Europan oceans, which hold 2-3 times more water than earth almost certainly contain life." According to a recent study, NASA believes Europa's ocean could have the right chemical balance to prove that we aren't the only rock in the solar system with life existing on it. The mission isn't cheap; Congress has asked for $260 million to fund the project. According to the plan, "an orbiter [will] launch no later than 2022 and a lander launch no later than 2024." "In order to take NASA to the next level of funding, we're going to need a transformational Neil Armstrong type moment - and this will be it - when we discover life in another world," Culberson noted. "For the long term, this is important for human discovery, it's important for human existence on earth to know if we're alone, and also help in ensuring that NASA has the funding they need for the far future." He thinks that future will also include the private sector exploring space and advancing scientific discovery. The Texas representative said he's in favor of a homestead act for space that will also allow the private sector to explore other worlds and mine asteroids. He said Elon Musk told him of plans to land 10 metric tons on Mars' surface before the end of 2018. A manned mission to Mars is one of NASA's goals to achieve in the 2030's, and while the scientific feat is one of note to celebrate, Culberson says he has doubts the cold, dry planet hosts life. "All the water that's there is frozen or locked in chemically to the soil or rocks... but on Europa, you've got a salt water ocean." Culberson said that doesn't mean it's not important to gain a better understanding of the red planet - as both missions will help inspire the next generation to study math and science. The idea that the discovery of life on Europa could lead to greater feats down the line gives him the hope that it will "preserve American leadership in space."